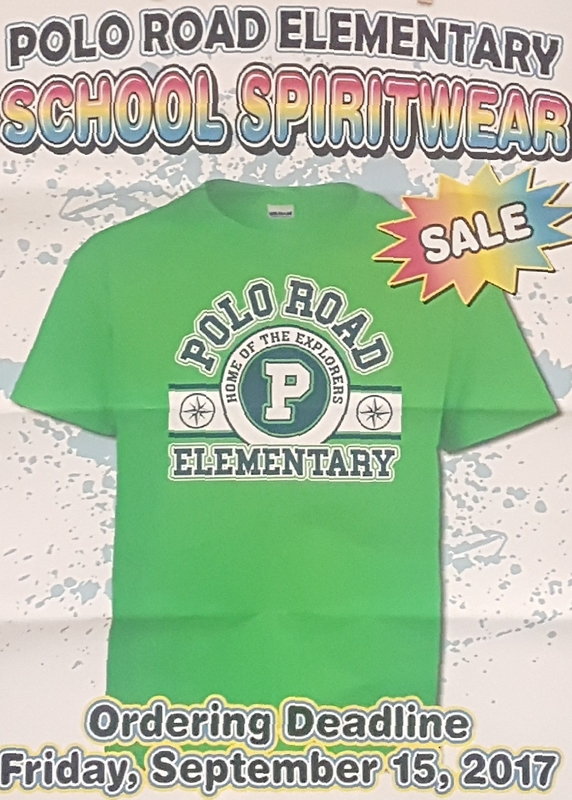 "Polo Road is accepting orders for this year's spirit wear. Short-sleeve t-shirts and zippered hoodies are now available for purchase. Order forms have been sent home with students. 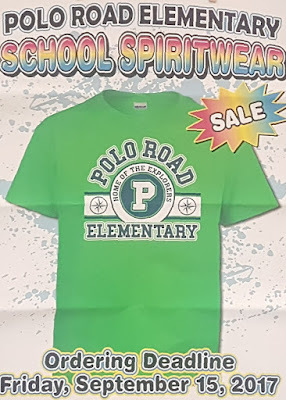 If you manually complete the order form, please remember to write legibly and make checks payable to Polo Road Elementary PTO. Remember that phone numbers must be included on all checks. Orders can also be placed online at https://poloroadfall17.itemorder.com/. There is a 10% service fee for all online orders. Orders will be accepted until Friday, Sept. 15th. Additional questions can be emailed to poloroadtee@gmail.com."